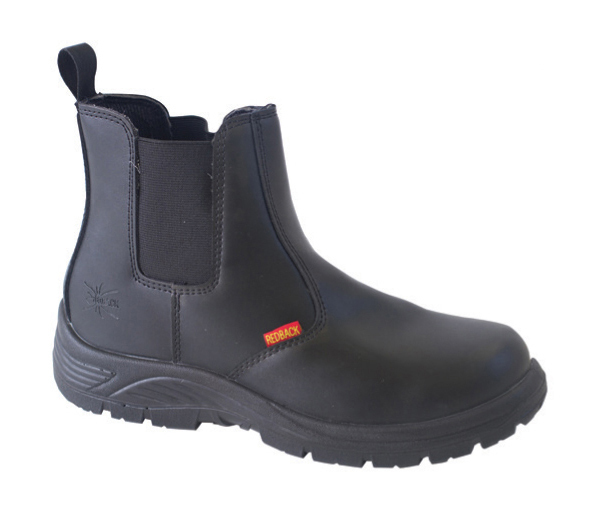 REDBACK Etna Slip on Dealer Boot with Steel Toe Cap and Midsole Resistant to Sole Perforation. Elasticated side panels allow easy pull on. High slip resistant sole (SRC). ENISO20345 S3 SRC.